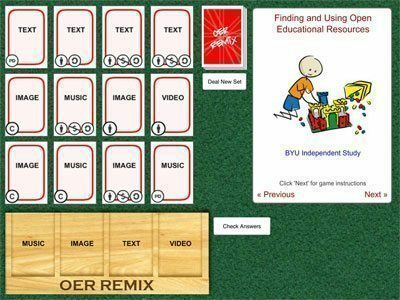 Learn more about Open Educational Resources (OER) that you can use for learning and teaching and about copyright. Read about the UM MOOC project. Join the tender for open and online education projects put out by the Dutch Ministry of Education, Culture and Science. Online education, open education and OER Online education is defined as education whereby all or at least 80% of all learning materials, tools and services are made available online. free to edit (with learning materials published on the basis of an open licence). Today, open education programs are offered by established universities such as MIT, the TU Delft, as well as virtual universities and other educational institutions. It is important to distinguish between Open Educational Resources (OER) and open education. OER refers only to the content, whereas open education or open learning combines OER (the actual resources) with a form of education. The programme itself is free of charge. Upon successful completion, badges or certificates may be granted for a fee. MOOCs are a good example but will be addressed separately. TU Delft Open CourseWare offers both OER and open access courses. It includes free online recorded lectures and other learning material. Refers to any type of educational material that can be freely re-used, re-distributed, revised, re-mixed and retained (the five basic principles of OER. In other words, anyone can legally copy, use, adapt and re-share these materials, free of charge. It can include: textbooks, syllabi, assignments, notes, projects, tests, or other learning materials. Massive. In principle MOOCs have infinite scalability. It is claimed the cost of each extra participant is small for the institutions offering MOOCs. Coursera claims they had as many as 240,000 participants in a single course. Open. There are no pre-requisites for participants. They do need a computer or mobile device and access to the Internet. In addition, participation was free for the early MOOCs. Today increasing numbers of MOOCs charge an assessment or certificate a fee. Online. MOOCs are offered online. Course. MOOCs are designed as a course. The course design of a MOOC may vary. MOOCs can by broadly subdivided in two types, XMOOCS and cMOOCs, each with a distinct philosophical underpinning. xMOOCs use a teaching model that focuses on transmitting information, with high quality content delivery. 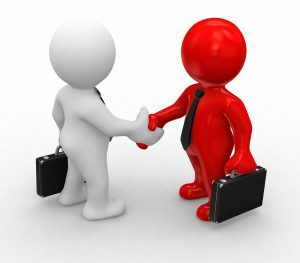 cMOOCs emphasise networking and depend on contributions from the participants. Watch this quick and simple video on MOOCs by Dave Cormier and Neal Gillis – Research by: Bonnie Stewart Alexander McAuley George Siemens Dave. Maastricht University (UM) has launched (and finished) its’ first Massive Open Online Course (MOOC) in September 2015. The audience consisted of teachers, course designers, professionals in education, and the generally curious joining in the experimental online course on Problem-Based Learning (PBL). Participants learned how to apply PBL in their own educational setting, and how to apply PBL to a MOOC setting. UM has a strong tradition in PBL, focussing on small-group learning centred around authentic problems. At first sight, this is in contrast with the large-scale and often teacher-driven set-up of MOOCs. UM is, however, interested in exploring the potential of online PBL and the potential of MOOCs. To gain first-hand experience and to explore implications for UM staff and students UM developed a MOOC about PBL which is designed –as far as possible in the setting of a MOOC- in line with modern learning principles that are also at the basis of PBL: constructive, contextual, collaborative and self-directed learning: Problem-Based Learning: Principles and design. Students at the centre! A university-wide project team, consisting of 34 people from all faculties, was responsible for this innovative MOOC design. Participants work in groups on authentic problems in a similar way as face-to-face PBL tutor groups, except that they work online and do not have a tutor. The MOOC was executed in 2015, from 5 October to 12 December. It started with 2989 participants. Just over a quarter (26%) filled in their profiles and became part one of the 111 teams. 49 of the 111 teams finished the course (i.e. handed in the last assignment) and 264 participants were received a certificate of participation. The completion rate was almost 10%, which is quite normal in the world of MOOCs. The project team is currently analysing results, including questionnaire and observation data, and developing plans for the future. Open Educational Resources refers to any type of educational materials that can be freely re-used, re-distributed, revised, re-mixed and retained (the five basic principles of OER). In other words, anyone can legally copy, use, adapt and re-share these materials, free of charge. It can include textbooks, syllabi, assignments, notes, projects, tests, or other learning materials. Open-learning visionary Richard Baraniuk explains the vision behind Connexions (now called OpenStax), an open-source, online education system. It cuts out the textbook, allowing teachers to share and modify course materials freely, anywhere in the world. On Nature’s website (Harmon, 2010) a large grow of medical ‘apps’ for smart and iPhones was mentioned. Apps like these provide you with easily accessible information and instructions about for instance lifesaving acts, patient files or lab results. A lot of apps are meant for patients, others for professional health caretakers. Some are perfectly suitable for educational purposes. A pilot at the UM Faculty of Health Medicine and Life Sciences (FHML) on the use of smartphones during internships even resulted in an evaluation framework for open educational resources. We want to inform you of a selection of apps and websites, but also on how to check the quality of the source or application. For the latter, we refer to the tutorial created in close collaboration with FHML. MedischOnderwijs is a Dutch platform in which 8 medical institutions offer (international) e-learning sources to anyone who creates a free account. 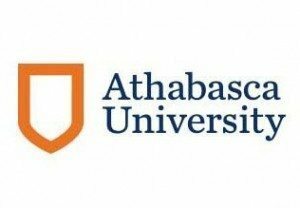 On this website, you can also get access to the Teaching Resource Centre (founded by the Centre for Human Drug Research) database on pharmacology using a newly developed graphical language, supportive text/charts, formative feedback questions, and animated computer teaching as instruction for pharmacology. Within the Mobile Learning @ UM project, FHML (Jeroen Donkers ea) selected and offered various apps for surgery, ophthalmology and neurology internships (some in Dutch). Contact Jeroen Donkers, working at the Education and Research Department (task force e-learning) of the Faculty of Health, Medicine and Life Sciences. To learn how to check the quality of the source and use it within your daily educational practice or (for teachers) to get acquainted with the possible and qualitative good open educational resources, we created a tutorial. Wikiwijs (literally translated Wikiwise) is an open, internet-based platform, where teachers can find, download, (further) develop and share educational resources. The whole project is based on open source software, open content and open standards. Wikiwijs is inspired by the idea of wikis: collaborative developing of content. Educational resources are developed by teachers, for teachers. Teachers can freely use anything they find in the Wikiwijs database in their classrooms. The scope of Wikiwijs is the whole Dutch educational system: from primary schools up to universities. Interested? Visit the (mainly Dutch) Wikiwijs website and read what the community thinks about Open Educational Resources (OER), impact of OER on the professional practice and MOOCs conquering the world. 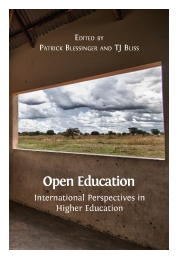 In recognition of last years Open Education Week, the HETL Association offered the possibility to download a free copy of the HETL book, Open Education: International Perspectives in Higher Education . The book provides an insightful collection of essays, exploring ways in which open education can democratise access to education for all. 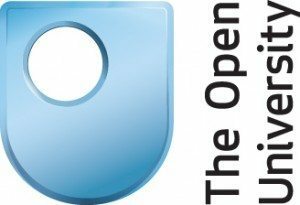 It is a rich resource that offers both research and case studies to relate the application of open technologies and approaches in education settings around the world. A copyright license that is easy to create and enables the copyright holder to give permission for different forms of kinds of use of their material free of charge or bureaucracy. Create your own license at: Creative Commons Choose a License . 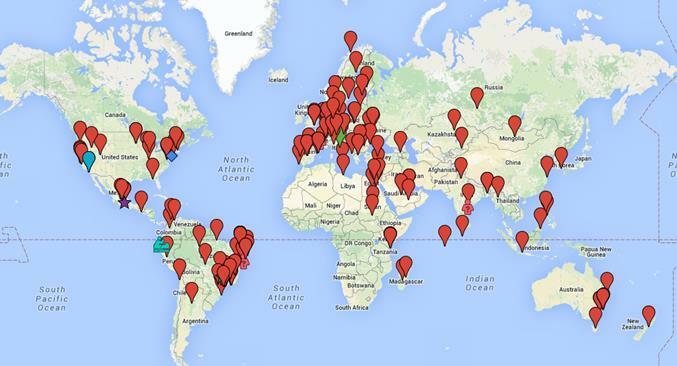 The Open Education Week globally celebrates the Open Education Movement. One aspect of Open Education is the use of Open Educational Resources (OER). OER are freely accessible, openly licensed documents that are useful for education as well as research purposes. In the development of OER and opening them up for the rest of the world legal issues can arise. The copyright of OER is protected under Creative Commons licenses [Pdf]. This protects the copyright of the author and makes the resource openly available under varying restrictions. Are you unsure about using educational resources and their copyright? Check out the Maastricht University Library Copyright Information Point for more information and advice. The European copyright is the result of the Wittem Project. The project is rooted in an International Network Program run by three Dutch universities (Radboud University of Nijmegen, University of Amsterdam and Leiden University), and sponsored by the government-funded Dutch ITeR Program. 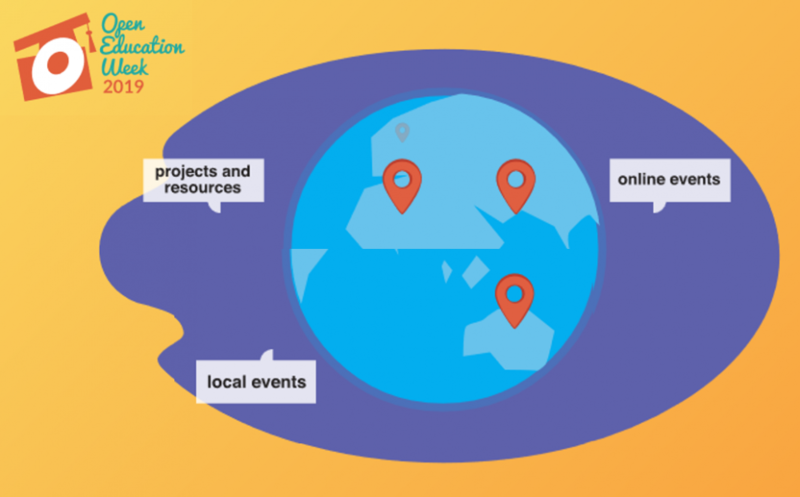 Discover live and online activities you can attend during the International Open Education Week ; a celebration of the global Open Education Movement. Its goal is to raise awareness about open education and its impact on teaching and learning worldwide. In last years’ Open Education Week (2018), the library published a special issue on open education and UNU-MERIT / Maastricht School of Governance hosted a webinar on their SURF funded project Smart Choices and SMART tools . The Dutch Ministry of Education, Culture and Science underlines the importance of open and online learning and has included various ambitions for the Strategic Agenda for Higher Education and Research 2015-2025. According to the Minister’s vision, the Netherlands shall become a global leader in the open sharing of teaching materials by 2025. Higher Education Institutes exchange knowledge and expertise on the topic of Open and Online Education through SURF, the collaborative ICT organisation for Dutch higher education and research. SURF hosts Special Interest Groups (SIGs), with experts from the participating research universities and universities of applied sciences. 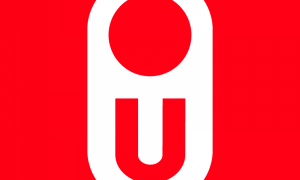 The Maastricht University Library represents the UM in a special SIG on open and online education. In addition, the UM library participates in a focus group on online education of the Dutch consortium of the thirteen university libraries and the National Library of the Netherlands (UKB). SURF recently changed the name of the programme from Open and Online to Open and Blended. Go to SURF on Open and Blended Education . Open and online education offers opportunities for innovation and quality enhancement of education. The Dutch Minister of Education, Culture and Science, therefore, provides funding with the incentive scheme on open and online education . TOOL Anatomy Platform: Maastricht University (UM) and Leiden University Medical Center (LUMC) are joining forces with Dutch and Flemish anatomy departments to develop an open learning platform in which quality-controlled anatomy content and learning resources can be made freely available to all. Last year additional funding was granted to build a curated collection. The library is involved, focusing on metadating and copyright issues and creating awareness on creating, sharing and reusing open material by faculty staff and selecting qualitative open educational resources by students. This will give students easier access to good content and provide teachers with good teaching resources. We-Mediate [website currently only available in Dutch]: skills such as negotiation and mediation are important for lawyers. UM has developed modules to train and enhance these learning skills in a multimedia environment. Leading to success – Smart choices & smart tools : the Maastricht Graduate School of Governance / UNU-MERIT created online modules to support the development of open online services to help prospective students decide if the programme is a good study for them to choose, current students select which specialisation track to focus their graduate studies on, and alumni and practitioners refresh their previous studies and receive information of new topics. Every summer a new call of this incentive scheme is launched. If you don’t want to miss out on the actual launch, subscribe for our library updates and we will inform you via the Library+ Education update. In Problem-Based Learning self-study is important, but which learning materials do you use and how do you find them? Study materials may include books or journal articles, but also pictures, video clips, animations, web lectures, etc. The Maastricht University Library has a large collection, but there is also a lot available on the Internet, often for free. The tutorial on Digital information skills (developed for medical students, but useful for other disciplines as well) will help you how to find and evaluate information, accompanied with some general search tips and tricks in finding relevant and trustworthy audio-visual learning materials. The tutorial on Personal online branding will learn how to build and maintain a professional online image. It contains chapters on topics such as self-branding, social networking sites and online identity management, including legal issues.